Kylian Mbappe is a male forward from France, who has been playing for Paris Saint-Germain in France since July 1, 2018. Kylian Mbappe is six years younger than than his team's average age, as he was born on 20.12.1998. The club of Kylian Mbappe, Paris Saint-Germain, presently holds first position in group C of UEFA Champions League, 16th position in Int. Champions Cup and first position in Ligue 1 (France). With a height of 1.78m, he undercuts Paris Saint-Germain's mean tallness by 2. He prefers to play with his right foot, as do 67% of his teammates. Kylian Mbappe had 45 match appearances this season. His best season was Ligue 1 16/17 (France), because in this year he had his highest success in terms of but forward passes and match presence. At Paris Saint-Germain, he is the owner of strip number 7. Ever since Kylian Mbappe became a professional, he has been committed to overall three clubs. In the recent term, he managed to find the net 35 times and provided ten times additional assists which accounts for 30.3% of Paris Saint-Germain's goals in Ligue 1 18/19 (France). He scored an average of 0.8 goals and provided 0.2 assists per game so far, marking a improved performance when compared to last season, when he had 0.5 strikes and 0.2 assists per match. While being substituted more in than out this season, the contrary occured the year before. However, he shows 43 out and 39 in substitutions in total. From his professional start until now, Kylian Mbappe has performed in 159 matches in total and hindermost appeared seven days ago. On average, he has participated in 7.2 matches per season. 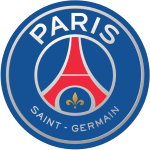 Paris Saint-Germain has four more forwards in their squad, namely Eric Maxim Choupo Moting, Neymar, Edinson Cavani and Moussa Diaby. He managed to attract a lot of good feedback after his performance at AS Monaco, the team he was subjected to before joining Paris Saint-Germain. At 171.96lb, Kylian Mbappe carries 6lb more than the average Paris Saint-Germain player. The briefest time his spent on a team counts nine months in his present club. As for winning percentages, he won with Paris Saint-Germain 67% of their home matches (50% in total) in UEFA Champions League, 100% of their home matches (33% in total) in Int. Champions Cup and 80% of their home matches (80% in total) in Ligue 1. Paris Saint-Germain enjoys a 4-game winning streak during the last 5 games of the current season. In his footballer career, a total of 15 cards were ascribed to Kylian Mbappe. While thus obtaining an average of 0.68 cards per term, he has not even gotten any yet, for now. 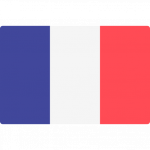 Besides Paris Saint-Germain, Kylian Mbappe is at France's command, too. 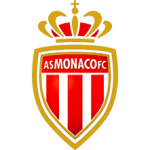 His longest stay in a team counts three years and 11 months in AS Monaco (France).